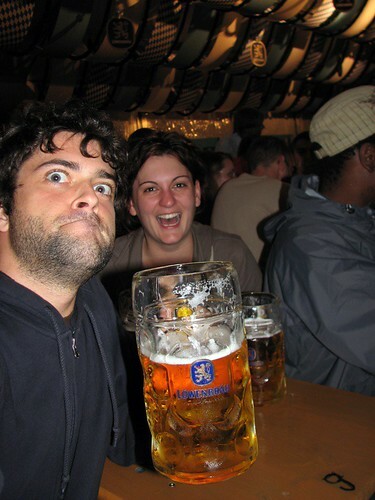 You don’t have to drink the whole damn thing. We are concluding a month of Ninjutsu sparring today, Thursday. Starting at 18:00 we will spar till 20:00. 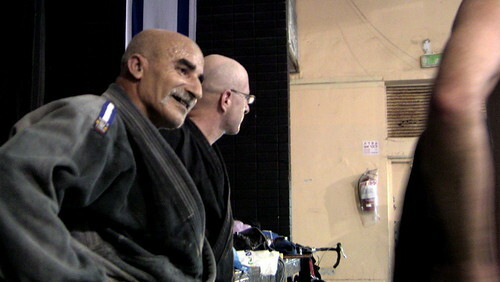 Next week we will be returning to regular schedule (click here for the Tel Aviv dojo calendar). Today’s video is about zooming in on one set of techniques. This has it’s benefits as we can hone one particular skill. In the video we can see nice work with upper body evasion in a fist fight, but once the fight opens up with kicks and grappling we have to return to sabaki with the whole body. Today, Wednesday, we will meet at 18:00 in Gan Havradim for the last Blitz session of 2012. Next week, in Sunday, we will practice as usual inside our regular Jerusalem dojo. The video today is about Ganseki nage throw. We are getting nearer to the end of the AKBAN blitz, this is a good enough reason to roll easily and take good care of our sparring partners. On the video we can see two minutes out of an half hour of randori with two AKBAN veterans from the Tel Aviv Dojo. The Ninjutsu syllabus in these minutes, stretched by the slow motion to 4 minutes, is huge. Moreover, the general atmosphere is easy and friendly. That is the only way to prevent injuries in sparring sessions that include striking and grappling. We are taking it easy as we are at the last week of the Blitz. We will meet at 18:00 at the top meadow near the supreme court. We will spar till 20:00. We will spar today at the Tel Aviv dojo, from 18:00 till 20:00. Today’s video highlights several things. The first one is that failing with some throws can be worse then not doing them. The second, most important factor, is that grappling in a mixed martial art, and especially our Ninjutsu is possible only when the opponents are allowing throws and not fighting competitively. The minute the randori looses its cooperative, jam session, atmosphere, is the minute everything becomes very dangerous. Fortunately, in this video, all partners fight, but are still sensitive to each other. The sparring session today is the usual for August Blitz – from 18:00 till 20:00. When novices think about Randori or sparring they often think about combat or competition – these are not the same and should never be confused. When we spar we always use less aggression, less speed and less ego. The main point is not injury prevention – even if the injury rate is much lower at low velocities – the main idea of using flow and giving up in grappling situations is that it builds a better technique, a much better technique. When people prepare for the Olympics or for a tournament it is essential that they will be at their peak conditioning level and at peak technical skill. But, as I always remind my students, we are not going to the Olympics and moreover, you can not be at peak condition all the time. If you live on the edge you will get cut. When training for many years, the dojo should strike a middle ground between preparedness, acquiring new skills and injury prevention. An extrem example I am thinking about is from the military: If one trains a counter terrorism team urging them to be on the edge all the time then sooner or later he will loose team members for an overuse or misuse injury. There should be a balance between getting ready and being lazy. I think that our veterans are in top condition and can also spar with a lot of energy, but they can balance it with deliberately easy session like the one in the video. The video I am posting is an example of a sparring session of nearly 30 minutes with almost no danger to any opponent and a lot of skill learning during the session. The black belt, one of the most experienced in AKBAN and also a Judo black belt, just gives the beginner a safe feeling and maintains a great attitude during the whole session. It takes a slow motion video to catch some techniques, so I slow motion to highlight this great fight. As usual at August, during the AKBAN Blitz, we will meet at the topmost grass field, near the Supreme court, at 18:00. We will do Randori till 20:00. This time the video I am analyzing is a precise example of the importance of footwork. As I am using the footage of Ninjutsu sparring I have been taking during the Blitz, it is obvious that most Akbananuts have memorized that sabaki is the key for safe sparring. Standing in midrange and using blocks to avoid being hit is sometimes necessary but not so great. If possible, it is better to use the legs as the first line of defense – controling distance – and get into the action when only when you initiate it .